September is National Preparedness Month, and while it typically speaks to families and home life, we see it as an opportunity to talk about the CMS Emergency Preparedness Rule. Especially with the November 16th deadline approaching. We know you’ve been working all year to ensure your organization is compliant with CMS’s new standards. At HospitalPORTAL, we want to help as much as we can. So as you enter the final stretch, here is a checklist we’ve put together for you to ensure you meet the standards. Facilities affected by this rule are Hospitals, Ambulatory Surgical Centers (ASCs), Hospices, Psychiatric Residential Treatment Facilities (PRTFs), All-Inclusive Care for the Elderly (PACE) Transplant Centers, Long-Term Care (LTC) Facilities, Intermediate Care Facilities (ICF/IID), Home Health Agencies (HHAs), Comprehensive Outpatient Rehabilitation Facilities (CORFs) Critical Access Hospitals (CAHs) Clinics, Rehabilitation Agencies, and Public Health Agencies as Providers of Outpatient Physical Therapy and Speech-Language Pathology Services, Community Mental Health Centers (CMHCs), Organ Procurement Organizations (OPOs), Rural Health Clinics (RHCs) and Federally Qualified Health Centers (FQHCs), End-Stage Renal Disease (ESRD) Facilities. New regulations mean new policies and procedures. Make sure your documents are not only updated, but neatly organized and ready-to-go come November 16th. You’ll also want to ensure employees are aware of changes. 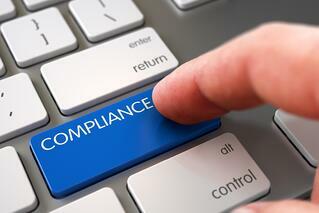 ComplyALIGN is a robust tool that can greatly assist your policy management efforts. Create and implement a new training program for new hires as well as refresher courses for current employees with the updated emergency preparedness plans and requirements. This promotes a culture of awareness and compliance. It ensures that staff is fully prepared at all times and makes for smooth audits in the future. Read more on this topic in our blog post, Using Your Intranet For Hospital Emergency Preparedness. For information on how HospitalPORTAL Intranet and Policy Management System can help you be prepared, schedule a free demo or request a quote.